This morning I read an interesting post written by Josh Cline as if it were February 2016 ruminating on the death of Facebook. While I found the post to be amusing, (if not implausible) the same day it was overshadowed by a ‘suggestion’ to wish a now deceased former classmate of mine from high school a Happy Birthday. It’s not that I don’t understand that someone in the person’s family should have (by now since it’s been more one year) contacted Facebook (FB) to have the profile removed. Maybe the family tried and was unable to reach the right people at FB. Or maybe the family in some way wants to have the profile remain for some reason I will never be able to understand. Shouldn’t more be expected of Facebook? With all the tracking and data it’s impossible for me to believe that some FB algorithm would not indicate that a FB user has passed away, especially after more than a year. My view is that it is in extremely poor taste to suggest FB friends wish someone a happy birthday when they have passed away. I am not of the opinion that FB should take down the deceased’s profile page and that appears to be FB’s ‘’policy’ as well. I’ve noticed that family has used my classmate’s FB page to post occasional loving remembrances and far be it for anyone to opine on a family’s way to deal with their grief whether it be short or long term. But surely Facebook knows when people pass away right? If FB can retarget me contextually based on a website I visited it should also be able to search and match files of the deceased (don’t tell me this is not possible I won’t believe it) to make certain that mistakes like suggesting wishing a happy birthday to deceased FB friend do not occur. The same is true of other social media profiles like LinkedIn. I had a LinkedIn connection that passed away tragically and yet more than a year later I was asked to congratulate him on his years with the company. Ugh. Social networks need to do a much better job of stopping this kind of thing from occurring. Hiding behind protocols is not the answer. It just should not happen. 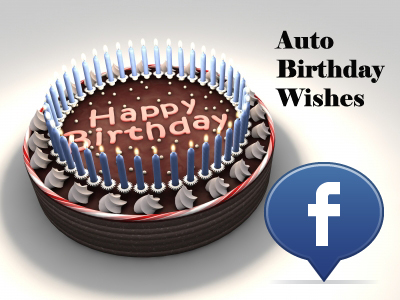 Leave the page active, stop the suggestions for wishing the deceased a happy birthday, anniversary or anything else for that matter. Do agree that FB is responsible for a certain amount of insensitivity here? Shouldn’t we expect and demand better? This entry was posted in Facebook, LinkedIn, Social Media and tagged Auto birthday wishes, canceling social media accounts of deceased family and friends, Facebook birthdays, Josh Cline, Social media profiles of dead people, social media profiles of deceased, Wishing deceased people happy birthday. Bookmark the permalink. I just went thru a friend’s FB profile. He had passed of cancer in July and in October 343 people wished him a happy birthday. I spent an hour or so responding to 90% of them with, “You know John passed in July 2016, right?” I couldn’t stand one more, “Hope your day is a great one!” messages. Ugh. Ugh is an understatement. FB’s reticence in addressing this issue is disappointing at best. It needs to be addressed. Thanks for reading and for your comment Jill.